It’s not unusual this time of year to see people complaining on social media about infertility in their goats. Some people are quick to start injecting does with hormones, but many cases of infertility are caused by mineral deficiencies. If you are able to get a doe pregnant with hormones, she may still abort or miscarry or have other health problems if she’s mineral deficient. If you’ve been reading this blog for more than a month or two, you know I’ve written about copper a lot. Infertility is one of the more advanced symptoms of copper deficiency. In fact, it was one of the symptoms of copper deficiency that I should have noticed in our goats the second year we had them. One of the does would not get pregnant. The vet recommended Lutalyse for the doe, but she still did not get pregnant. The following year we had more goats that did not get pregnant. If a doe doesn’t get pregnant, she could be copper deficient if you are also seeing other symptoms of copper deficiency: faded coat, fish tail, balding around eyes or bridge of nose, parasite problems, or anemia that is not caused by parasite problems. If a doe gets pregnant, she may abort or give birth too early for the kids to survive. In severe cases, you may also see bowed legs, spinal injuries, and an overall weak immune system. Copper deficiency is usually caused by minerals in well water, such as sulfur, iron, or calcium. If you are near a coal-fired power plant, that can leave sulfur deposits on your pasture. It can also be exacerbated by too much calcium or molybdenum in the diet, both of which are in alfalfa, which is part of the diet of most dairy goats. Alfalfa without well water is probably not a problem. But if you have well water and your goats get a high proportion of alfalfa in their diet, you will probably need to give more copper than you otherwise would. If you have a doe that doesn’t get pregnant, but she does not have a faded coat, fish tail, or balding on her face, it’s probably not copper deficiency, especially if you don’t have any of the issues that cause copper deficiency. 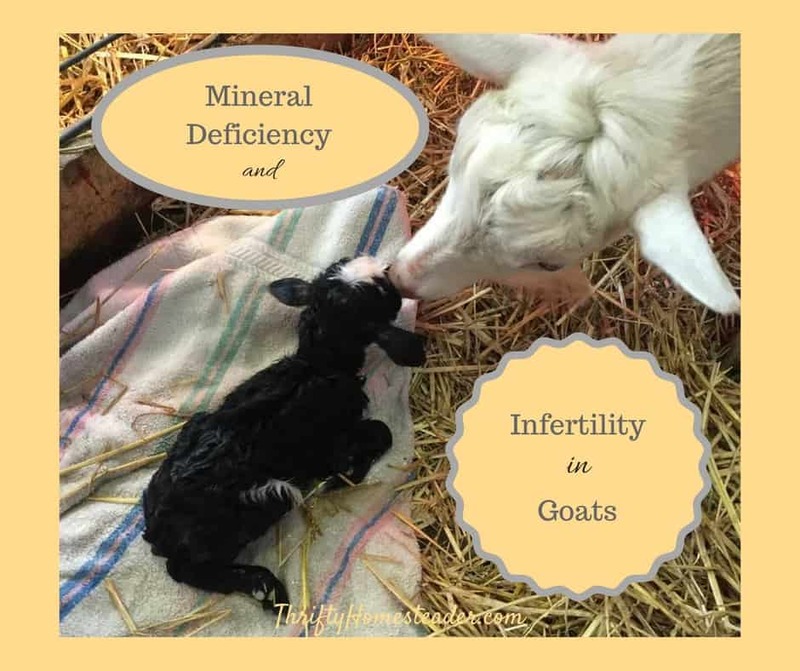 Another cause of infertility in goats is selenium deficiency. This is why many people give BoSe injections prior to the start of breeding season. While copper deficiency is usually secondary, meaning that it’s caused by copper antagonists, selenium deficiency is usually primary, meaning that goats are not getting enough selenium in their diet because most soil in the US is deficient in selenium. Secondary selenium deficiency can also occur, however, if you have a lot of sulfur or calcium in your well water. Goats that are selenium deficient may also have reduced fertility, meaning they are more likely to have single kids. If they get pregnant, they are more likely to have a retained placenta and get mastitis. It negatively affects their immune system, so they are also more likely to have problems with things like foot rot and parasites. If kids are born selenium deficient, they can’t nurse, although kids with hypothermia also can’t nurse. Selenium-deficient goats (and people) are more likely to have hypothyroidism, which in turn causes infertility. Symptoms of vitamin E deficiency are almost identical to symptoms of selenium deficiency, but the cause is entirely different. Goats usually become deficient in vitamin E when they don’t have access to enough green food. This is usually only a problem towards the end of winter when the quality of the hay is deteriorating, or if you purchased hay that’s not great quality. If you live on a small lot and don’t have any pasture or browse, the quality of your hay is especially important. Most people mistakenly think that BoSe is also a vitamin E supplement. It only contains a small amount of vitamin E as a preservative. The dose of vitamin E in it does not even meet a goat’s requirement of the vitamin for a single day. MultiMin, which is another injectable selenium supplement, contains no vitamin E. So, if your goat has symptoms similar to selenium deficiency, but you’ve given the goat a dose of BoSe or MultiMin, you might suspect vitamin E deficiency. To learn more, check out my free course, Copper Deficiency in Goats. Disclaimer: This information is provided for educational purposes and not meant to replace the services of a qualified veterinarian. Are your goats getting the nutrients they need? Test your knowledge of goat nutrition. Take my free quiz and find out how much you know! 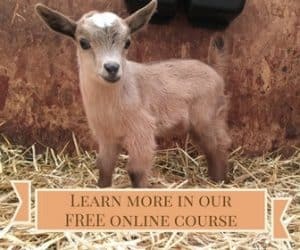 I'd like to receive the free email course on goat nutrition and minerals. 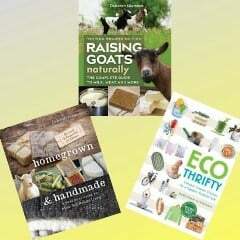 This is only partially related to this post, but I recently read (in a book primarily about chickens) that chicken poo can be harmful to baby goats. I hadn’t seen this mentioned anywhere else. This possibility concerns me a bit since our goats are pregnant, but the chickens have access to the goat yard. It would be nice to know if we should bar them from the yard once the kids are born. I was wondering if you keep your chickens near or in with your kids, and if you’ve had any problems. Our animals have all been commingling for years. You didn’t say why this might be a problem, so I’m going to guess that that person was talking about coccidia because that’s the most common misinformation about chickens. Lice would be a close second. However, all livestock species have their own species of coccidia, lice, and worms. Kids get coccidia, lice, and worms from adult goats — NOT chickens. Parasites are species-specific, meaning that they can’t survive on or in another species. A chicken parasite trying to survive in a goat would be like us trying to survive on Mars. Mars is a planet, but it’s not Earth, which is where we live. I hope that was a really old book that you read that in. When I got started in goats 15 years ago, I heard a lot about chickens giving parasites to goats, but in recent years, it seems that most sources know that the parasites are species specific with a few exceptions between sheep, goats, and camelids. You’re welcome! I’m so glad you find my blogs helpful.